What Are The Advantages Of Niche Marketing For A Beginner? 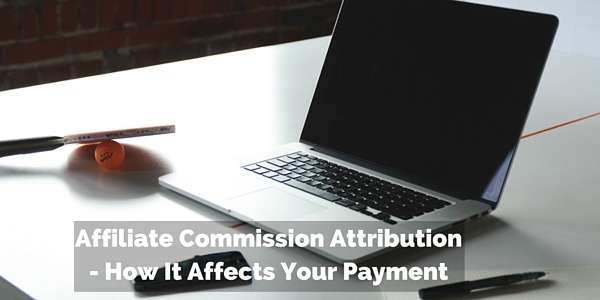 Attribution is important to an affiliate as it is used by the merchant you send a buyer to through your affiliate link to determine who/what brought in the sale. The merchant is wanting to know the channel and method that is bring their sales as well as the cost of that. From our point of view we want the sale to be attributed to us when we send someone through our link who buys so we get paid a commission. Being an affiliate I look at this from that perspective rather than the merchant’s view. How Does Amazon Do It. They do have a short cookie period of 24 hours and once an order is made you don’t receive any attribution – well that you get credited with anyway. What happens if someone thinks he needs a different way to get around and thinks maybe an folding bike is the way to get around especially for commuting and storing when he gets to work. After a bit of searching back and forth online and maybe even going into a store the person narrows it down to a few models that look good. On a review site that’s online the person gets the chance to read through the reviews and narrows down the choice to the one that looks best for their purposes. They click on the link to Amazon and have a look around at the reviews and get distracted before they push the buy button. A few hours later they get back to it and search for the model and think let’s have a video review. The top one comes up and it’s not a review but pictures of the bike and music. Anyway, they’ve decided they want it. There’s a link underneath it. It’s clicked and takes them to Amazon and this time they don’t get distracted complete the sale. In this situation the person who put up the video gets the sale and commission. But Who Should Get The Commision? The person that put up the reviews and comparisons that did all the work on informing the customer doesn’t receive any compensation. It could be argued they did most of the work and should be compensated for something on this. The YouTube video took advantage of the ranking opportunity and didn’t really add any value to the customer other than provide a link to Amazon. In this situation it could be argued that the person who provided the review and information should at least receive some of the commission for their part in the process. But maybe they didn’t do enough to help the customer make their decision – maybe they spoke to their partner who said it was a good idea and the person with the video made their own luck to have it there in the right place right time. The decision making and buying process can often be much more involved then what I went through here. There could be review sites, comparisons, videos, different online stores, adverts on TV and even going to an actual store and trying it out and again it could be the same YouTube video that the affiliate link is clicked on. And again they get the commission. In this case it gets a lot more complicated as to where the sale should be attributed to. (It could be an argument to make sure you do YouTube videos that rank as well as have a review website!) Not that it always happen that way round. I’m sure the physical store would also like a piece of the action too even if they missed out due to pricing. Merchants are now looking at ways they can attribute the sale to the correct place so they know how effective each method of marketing is compared to the cost. Whether that means they’ll change how they attribute commission to an affiliate will be interesting. I’ve not seen anything suggesting Amazon is looking to change. At least first click or last click methods is easy to understand and simple to track. Anything else, which may be fairer is going to be more complicated to track and understand from an affiliate perspective. 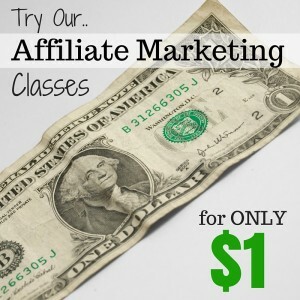 What do you think is the best way to attribute sale and commission to an affiliate?